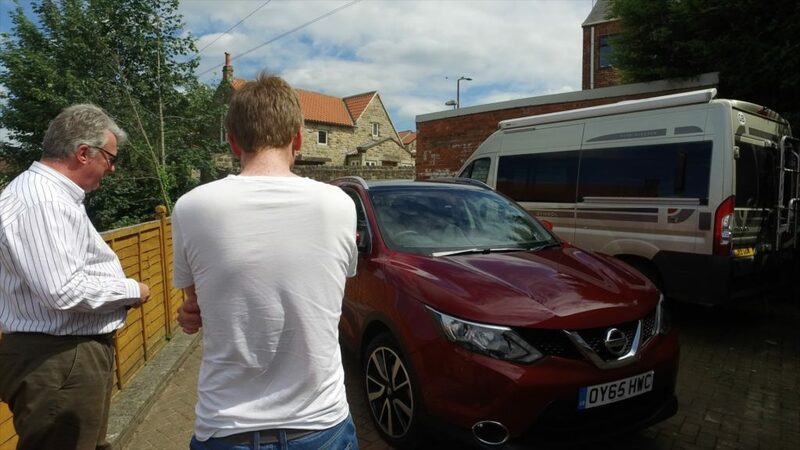 Potential customer looks at a new Qashqai. Over the last few weeks we have been travelling the country, from Burnley to Swansea, Sheffield to Manchester dropping off a very popular well known model of car to members of the public to road test for a week. The project has involved interviewing these testers when we drop the car off and then again when we pick the cars up. We’ve also been fitting mini cameras into the cars and the participants are given a brand new iPad to record their thoughts on throughout the week. Currently this project is in the post production phase, where we need to edit all this material down to 3 minutes.